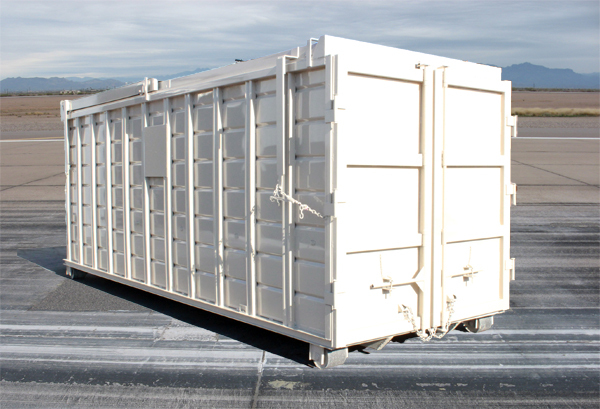 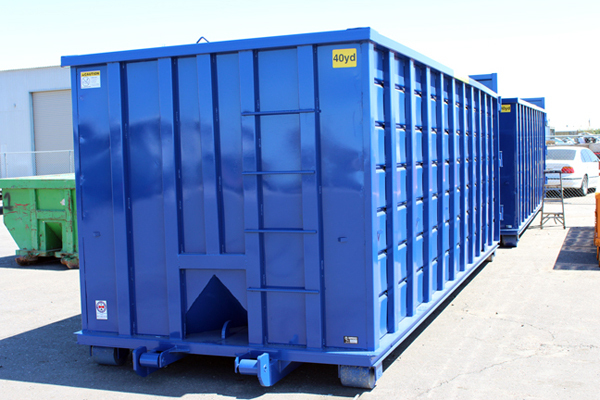 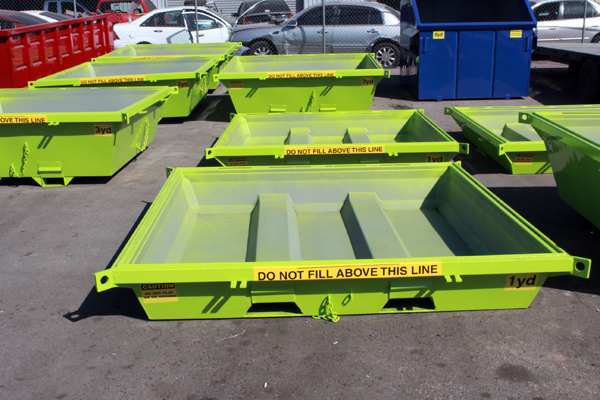 Hambicki's Rectangular Roll-Off Containers are solid and made to last. 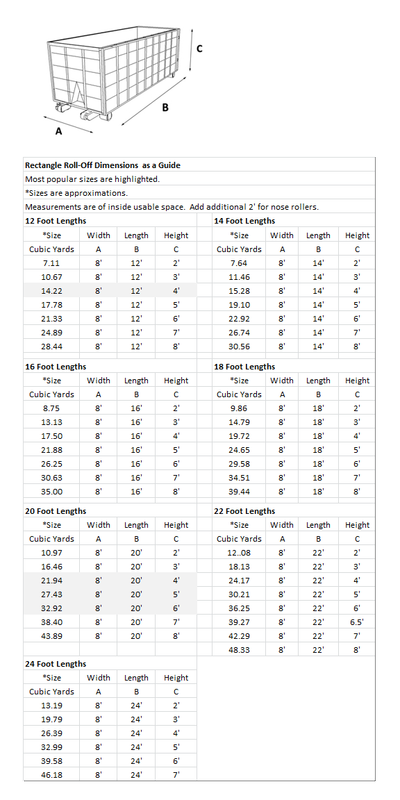 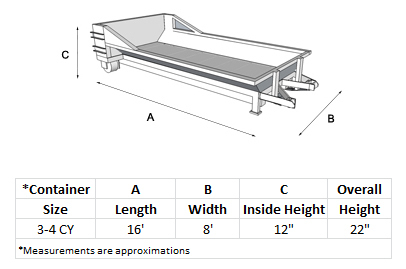 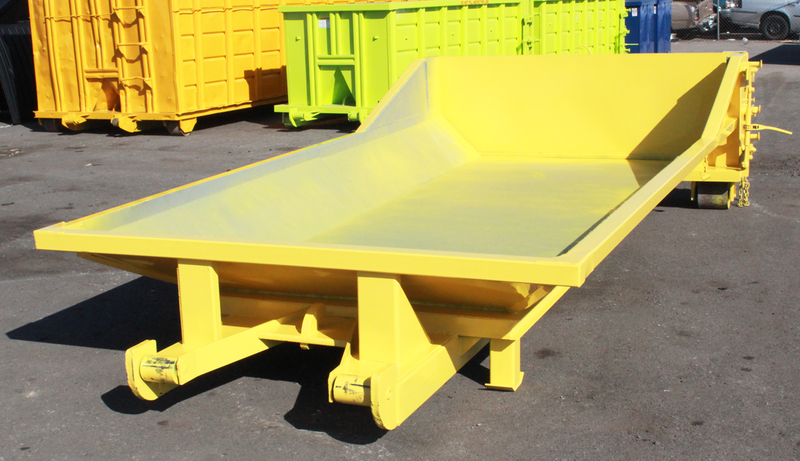 Choose from various sizes and steel thickness to fit your specific application. 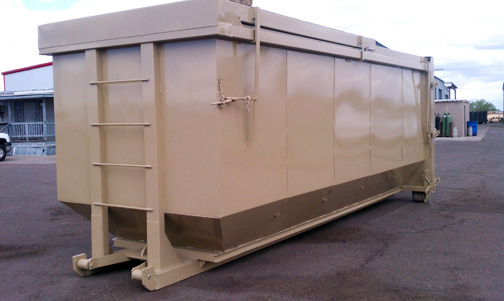 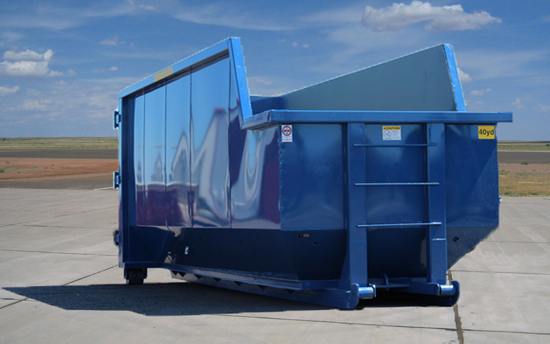 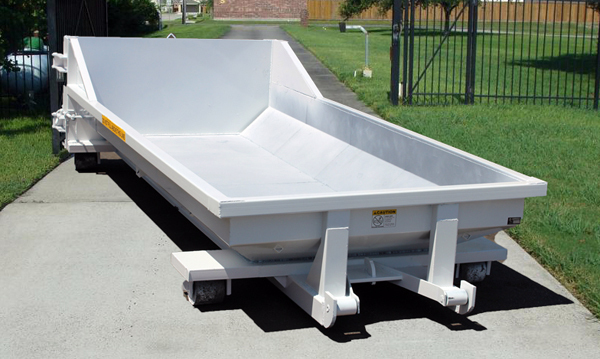 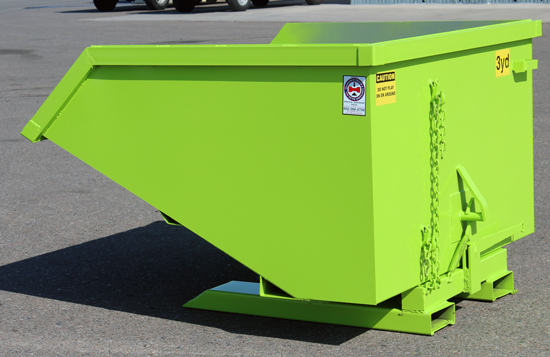 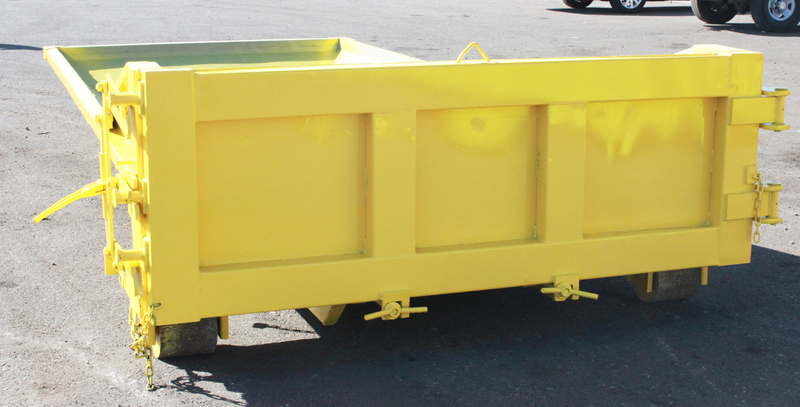 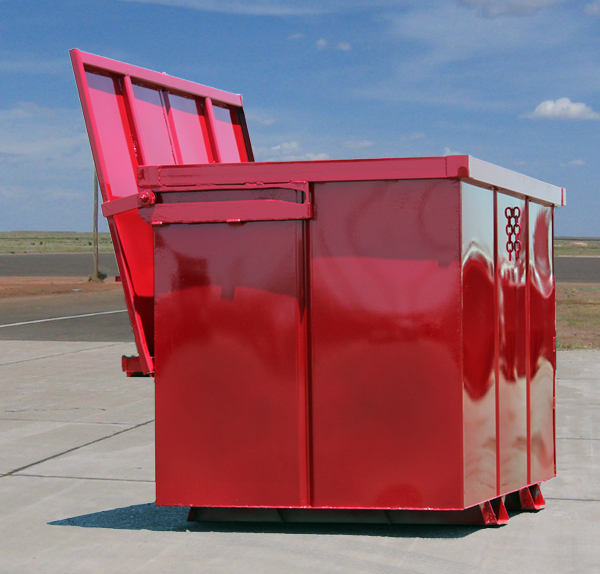 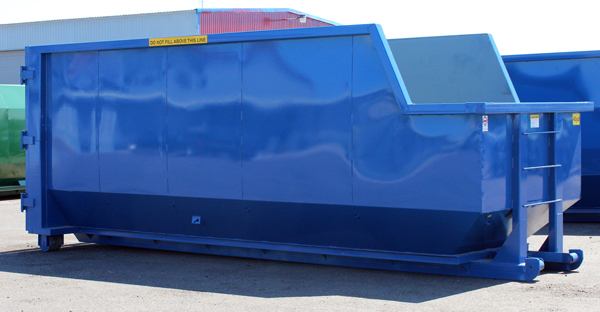 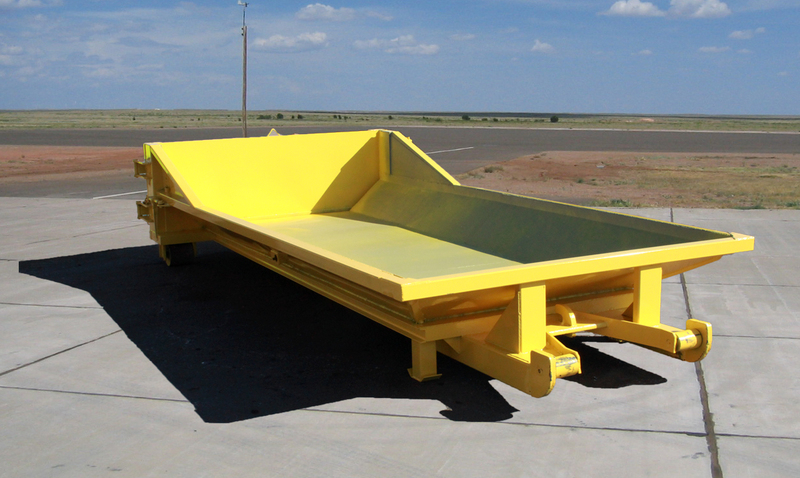 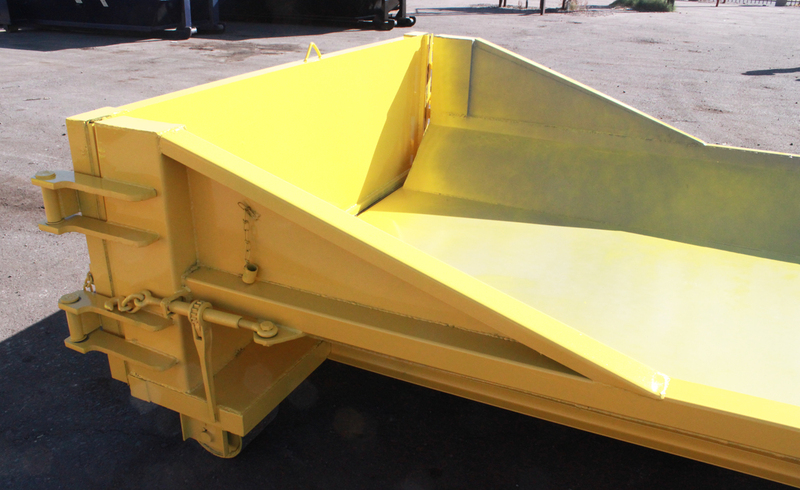 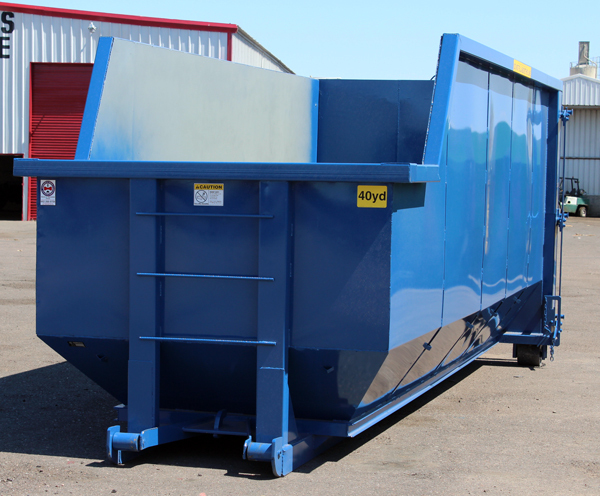 Hambicki’s Self-Dumping Tilt Hopper dumps when pressure is applied to front of the hopper and the locking mechanism is released. 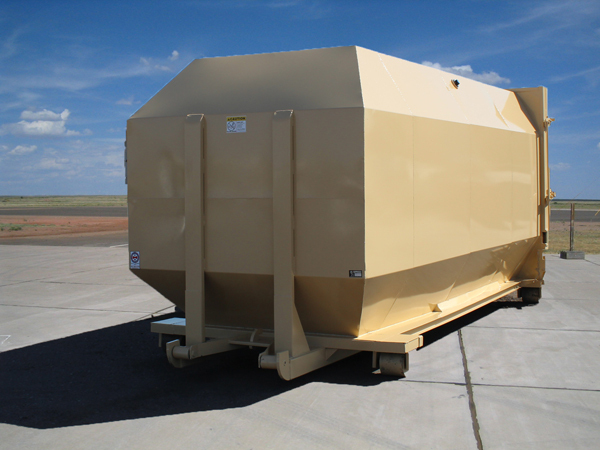 Hopper returns to an upright and locked position after it dumps when pressure is applied to the front of the hopper. 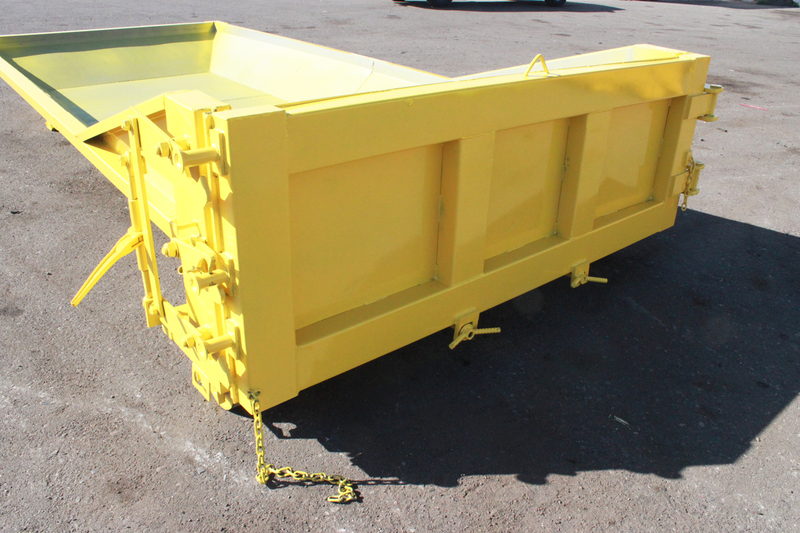 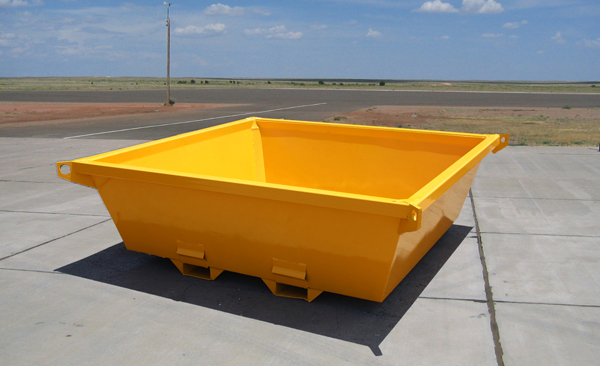 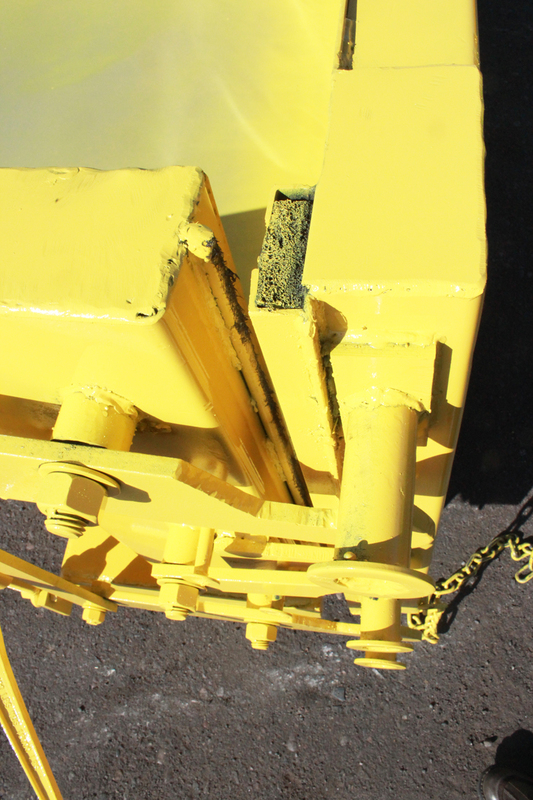 Made with the same quality workmanship as Hambicki's Tub-Style Roll-Off containers, these are modified so a grapple boom on a grapple truck will clear the sides of the container. 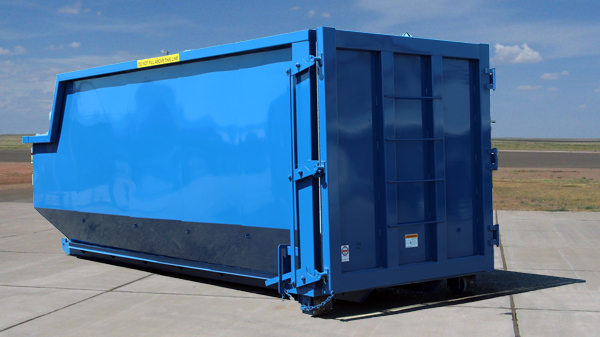 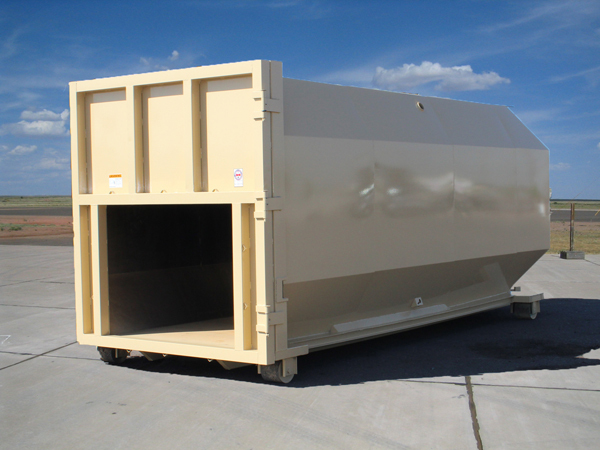 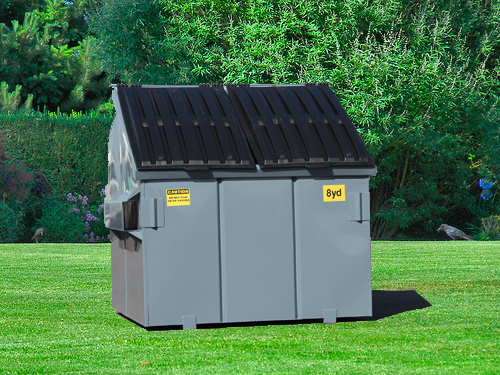 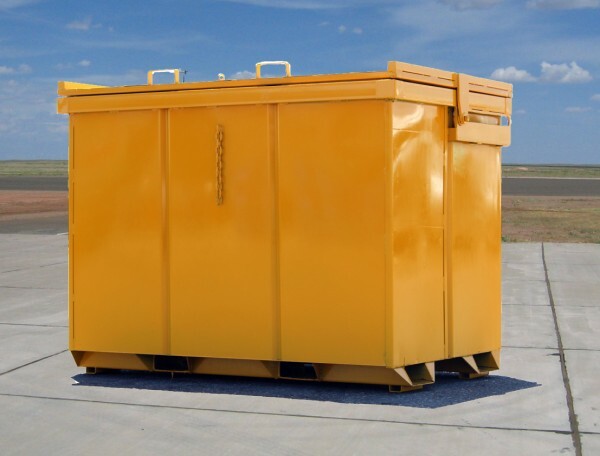 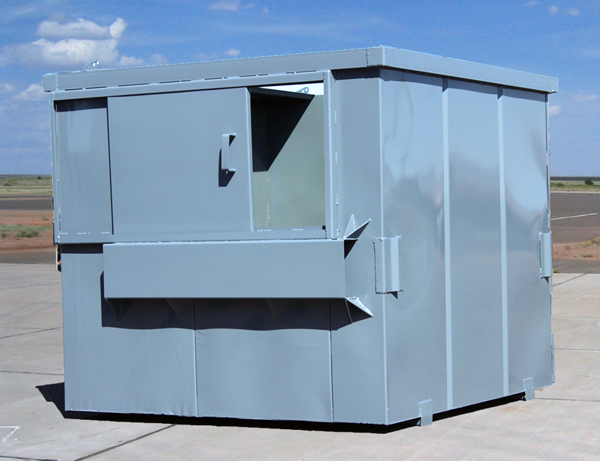 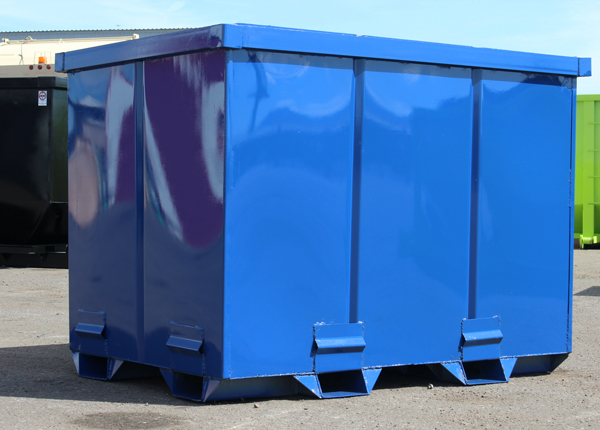 If you need a lockable solution for preventing unauthorized dumping or just to keep snow and rain out, consider adding a rolling steel lid to your container. 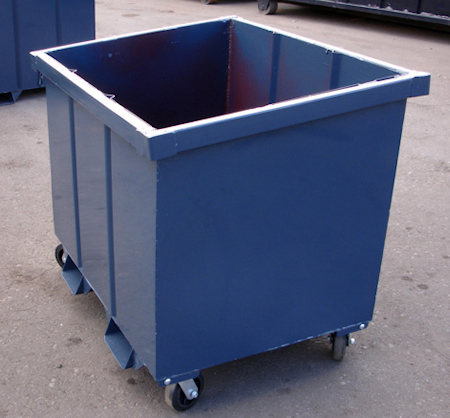 Lids are made of strong but light weight 12 gauge steel for easy rolling open and close. 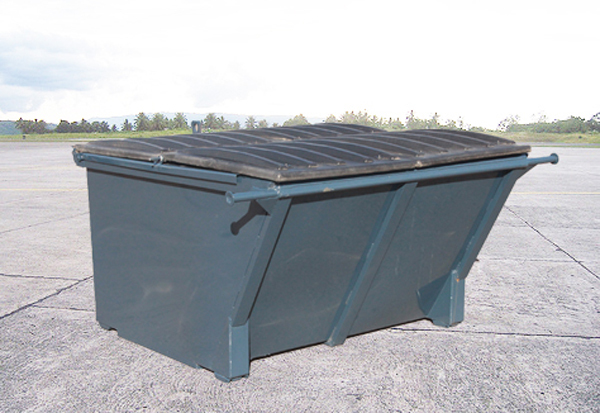 Lids are available on both rectangle and tub-style roll-off containers. 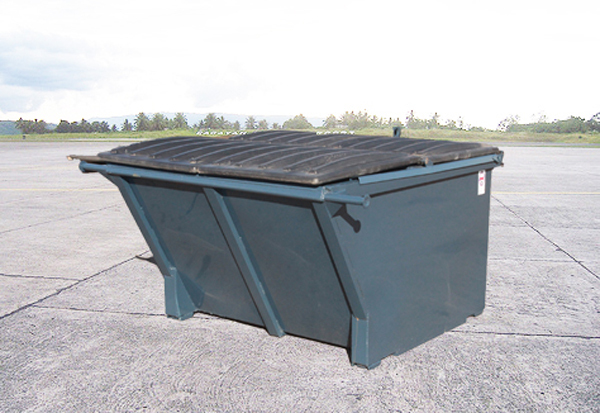 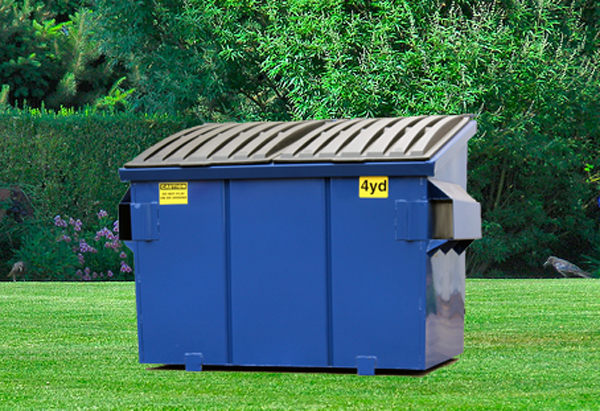 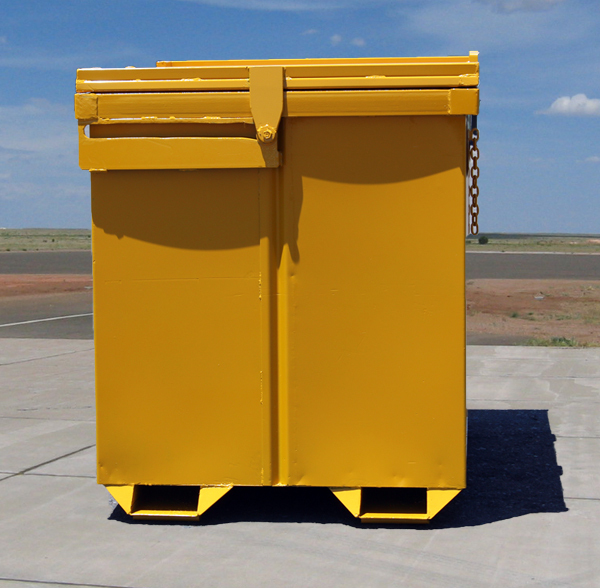 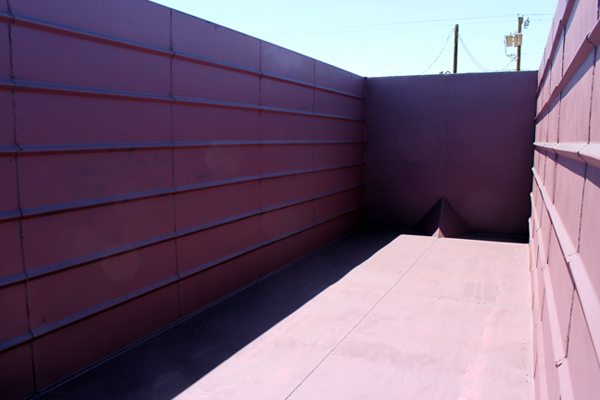 Prevent un-authorized dumping or keep the contents of your container dry and secure with a rolling steel lid. 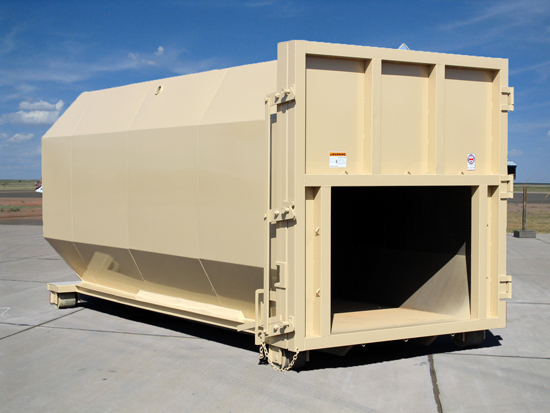 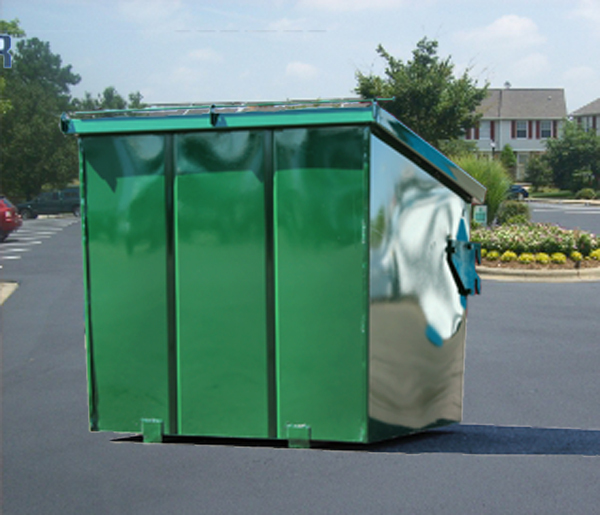 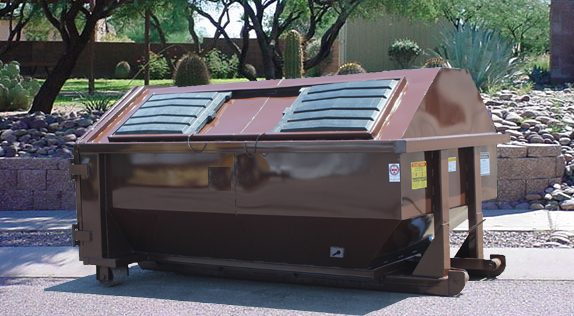 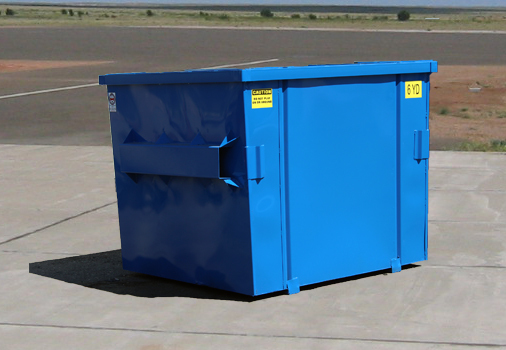 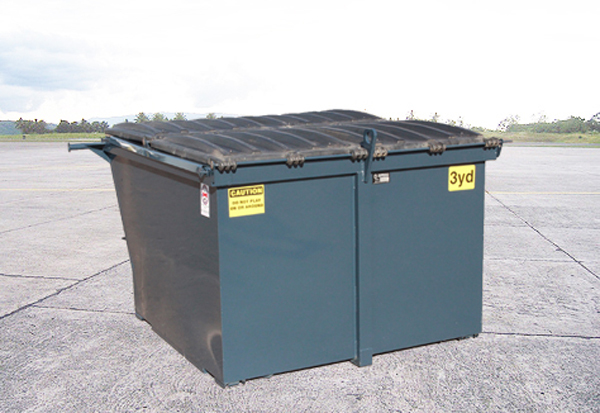 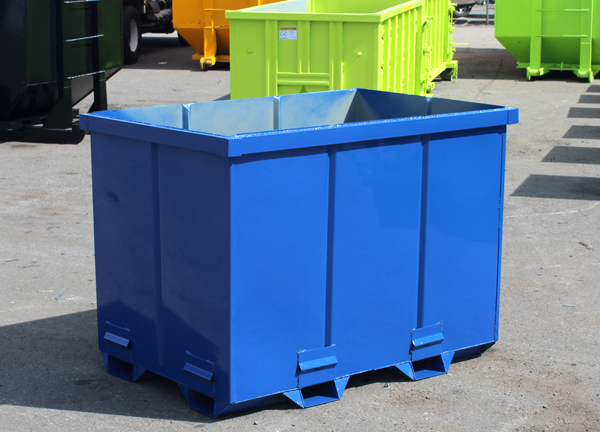 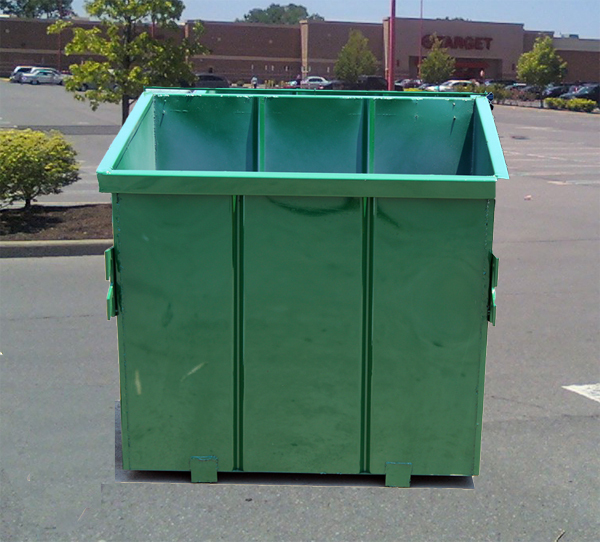 This container is mostly used for recycling but has been used for solid waste applications. 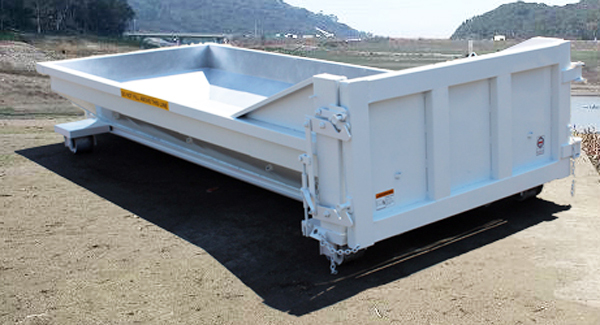 It can be made with internal dividers for keeping material separated in thier own compartments. 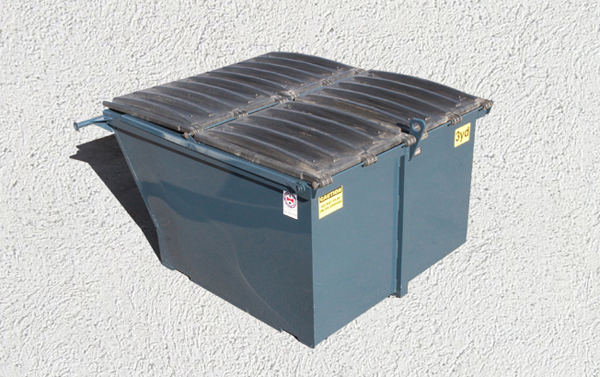 The lid is low for easy access. 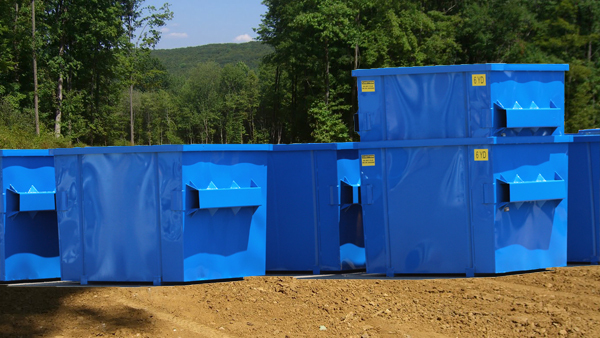 You can choose between plastic or lockable steel lids. 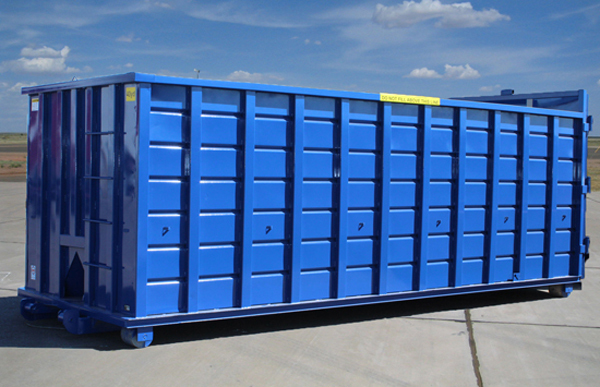 The entire container can be made water-tight for keeping liquids contained. 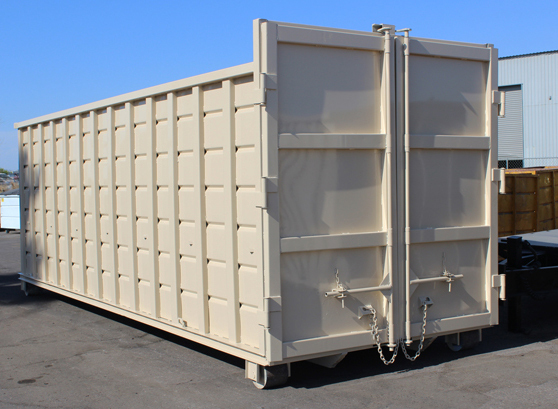 Do you have a need for containers that you can easily attach to each other and pull like a "train," for easy drop off and collection? 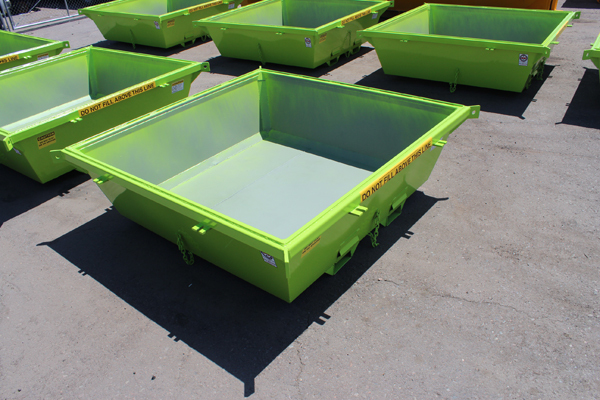 Hambicki's makes "trainable," containers to your specifications.